I recently left my job as the financial controller of a multi-academy trust and returned to a more ‘traditional’ school business manager role. Or you could say I rejoined the circus. If I look up to the ceiling in my office, all I can see are a series of spinning plates that I – the school's top-billed juggler – must keep in the air. But like Edith Piaf, I regret nothing. Let me explain why. On a typical morning, I will arrive at my desk at quarter to eight. Having forgotten about the large piles of paper I crammed into my drawer at four o’clock the previous afternoon, I’m surprised by how tidy my desk appears. First things first: grab a coffee, check my emails. Sometimes I have as many unread emails as I have ones to address from yesterday! As my colleagues arrive, I unpick the outcomes of last evening’s minutes with our head of HR. We cover two schools between us and have established a biweekly rota for visiting each one. I spend the next hour contacting relevant parties to circulate information, check progress and generally share what I know. Sharing knowledge is the most important aspect of my role, and I encourage everyone I work with to take the same approach. For example, I know that a single coffee is never enough for one morning! Overcaffeinated, my next task is to meet the school cook to discuss arrangements for the end of term, and the extension of lunch breaks at the beginning of next year. The conversation soon turns to pupil uptake, and I share some ideas that I’ve tried previously in other schools. The ten-minute meeting soon becomes thirty, but I leave with an idea for something to include in the forthcoming health and safety/premises newsletter that will go down a treat behind the doors of the school kitchen. On my way back to the office, I notice a couple of health and safety issues to be reported. Nothing gets past me! 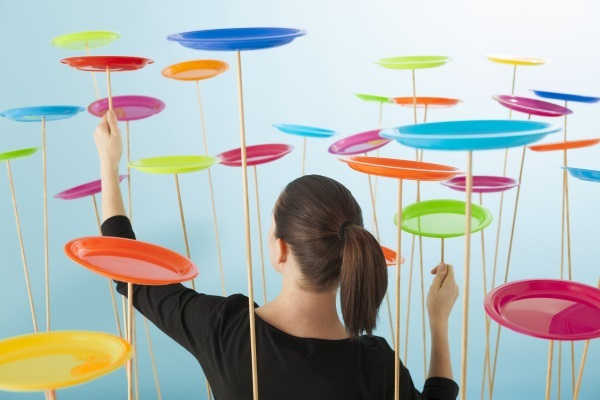 As a SBM, are you planning strategically or spinning plates? In his webinar, Matthew Clements-Wheeler explains how school business managers can move from back-office firefighters to strategic business leads by developing higher level planning and decision-making skills. Waiting at my desk is a teacher who wants to confirm details of payment for a school trip, a member of staff with a bid for money and a further ten unread e-mails. When talking to my two visitors I miss a phone call, which happens to be regarding the sale of a software package I’d spoken to someone about a while ago. Thankfully I take notes on everything! I contact the supplier and, following a bit of polite negotiation, we agree on a contract that is subsequently received for payment. Time to file the health and safety issues I’d picked up earlier as items for our helpdesk, and meet a sales representative to discuss printing costs. I’m still quite new to the school so I have to improvise in places, but I ensure that we talk through the length of the contract, the cost, penalties and the cancellation period. I leave the meeting after ten minutes, soon overcoming the sympathy I have for the sales rep and his long journey home. I spend the next thirty minutes eating lunch at my desk and sifting through another set of emails. This is punctuated by more visits from colleagues with questions, queries and responses to ideas or suggestions I’d thrown their way. Having such an enthusiastic team by my side is a blessing. Enthusiastic and forgiving, I should add. No two SBMs work the same way, and like a differently-shaped cog in a well-oiled machine, I make changes that will either directly or indirectly affect how my team works. A flash in my inbox reminds me that I need to finish looking through the responses to the fire audit that took place before I arrived. This creates another scheme of work that I must share with other staff, including senior managers. I add it to my list of items for the SLT, and make a note to check the budget to see if we can cover the cost of what has been recommended in the responses. Somehow the day has slipped through my fingers. According to my diary I have a meeting with one of my headteachers tomorrow. I spend the final hour reviewing our finance system against my monitoring spreadsheets, so I can discuss any variances and pursue solutions to any problems. Before I close the system down, I make a quick phone call to my team to see if there’s anything I don’t already know. Time to go home. Another handful of paperwork into my ‘holding drawer’, ready to be brought out first thing tomorrow morning. Just to get a head start, you understand. For further updates on the government's funding plans, and advice for strategic planning in an uncertain landscape, executive leaders in MATs can now register for our Achieving Efficiencies in Multi-Academy Trusts conference (9 May, London).